I've been breaking out the holiday/winter themed manis in December! 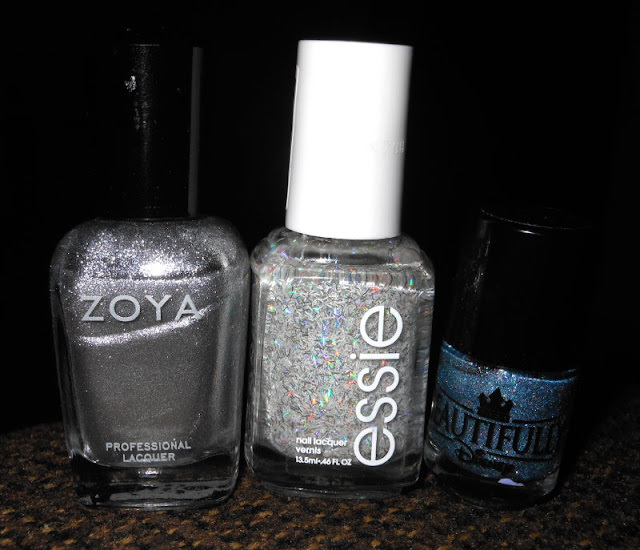 I'm calling this one "Holo & Ice". I painted my thumb, index, and pinky with Beautifully Disney Wish Come True. I painted my middle and ring finger with Zoya Trixie topped with Essie Peak of Chic. I hope you like this icy mani! Lovely! You can't go wrong with blue and holo, in my opinion.